Morning: Arrive in Rio de Janeiro with accommodation at selected hotel. Afternoon: HD Secrets of Old Rio. 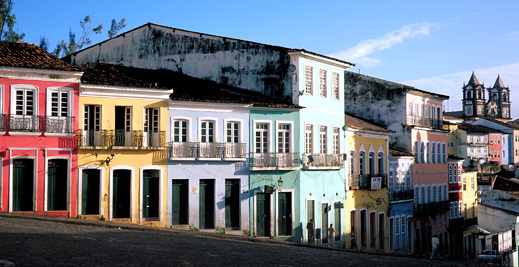 This is a unique walking tour which gives visitors a feeling for the legends and stories woven around the narrow streets and old historical buildings of downtown Rio. The walk includes a visit to many interesting points, such as the São Bento Monastery, Candelária Church, Praça XV, the "Travessa do Mercado", Imperial Palace (‘Paço Imperial’), the cultural center located in the beautifully-restored Banco do Brasil, the Casa França-Brasil, Ouvidor Street and Gonçalves Dias Street with the traditional Colombo Coffee Shop. The walk continues on down Uruguaiana Street, Carioca Square, and up to the Metropolitan Cathedral where passengers will meet the transportation that will take them back to their hotels. Duration: approximately 4 hours Private basis: Available from Tuesday to Friday (in the afternoon) and on Saturdays (in the morning). This exciting tour will take you to Sugar Loaf, Rio de Janeiro's famous mountain set at the mouth of Guanabara Bay, and reached by a series of thrilling cable car rides. After enjoying the view, you will begin an excursion into the Afro-influenced world of samba and Carnival, with your first stop at the Sambadrome, the locale for the city's famous carnival parades. Here, the cultural and historical aspects of this incredible celebration are explained at the Carnival Museum. Next, you will proceed to the Samba City, where you will meet the local artisans designing and creating the fantastic floats and costumes that will appear in the renowned parade. Evening: Traditional Dinner and Dance. In this excursion, you will enjoy dinner in a restaurant specializing in feijoada, the native Brazilian dish developed by slaves. There is no other place in Rio that embodies the alegria or happiness of the Brazilian people more than the nightlife scene in the neighborhood of Lapa. Once the sun goes down, this normally quiet neighborhood turns into a bustling and vibrant area full of restaurants, nightclubs and bars. The streets fill with cariocas and gringos alike, who flock to this Rio nightlife Mecca with one thing in mind……fun!! From traditional northeastern forró, to Rio’s own samba, to reggae from Bahia, visitors will enjoy the best that the Rio music scene has to offer. On the Rio Nightlife Tour, we will take you right to the heart of the action where our local guides will accompany you to one of the best clubs in Lapa, Rio Scenarium an unusual bar, a mix between an antique shop and an auction room, where the locals come to listen to traditional Brazilian jazz and samba. After touring Rio´s beautiful beaches, you will pass through the charming neighborhood of Cosme Velho, home to the base of Corcovado Mountain.From here, take a small gauge railroad through the lush Tijuca Rainforest to the mountain's top, where the fabled Christ the Redeemer statue stands. Enjoy an unsurpassed view of the Cidade Maravilhosa from this world renowned landmark. Optional excursion, “Rio by Night”, will be offered to those interested in a trip to one of the city's favorite nightspots for a review of Brazilian Carnival, dance and folklore. We also suggest dinner at a churrascaria, a typical all-you-can eat Brazilian barbecue dinner at a fine restaurant. Transfer to Rio airport for flight back to Salvador. 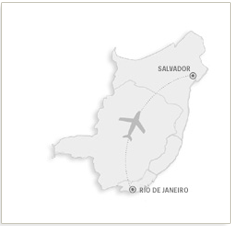 Arrive Salvador da Bahia, meet and transfer to your selected hotel. After breakfast departure for an African-oriented historical city tour. Pelourinho area, so called after the pillory which stood in the main square, in front of the central slave market. We visit the Afro-Brazilian Museum which traces the West African origins of the city and see the superb wooden, sculpted panels of the orixá's by Salvador's most celebrated artist, Carybé. We visit the Church of Our Lady of the Rosary, the famous Black church, built with meager resources over a period of almost 100 years. The Casa do Benin (Benin House) nearby further investigates this permeating African influence. We look in on artists and sculptors at work and let the senses do the rest as we soak up the feel of this vibrant city. The buildings may be European but the rest is African. groups, enjoying great success in the current renaissance of Afro-based rhythms in Salvador. This frenetic, pulsating music is directly derived from the music of West Africa. We leave the city behind and drive through the oldest farmland in Brazil. This is the land of sugar cane and tobacco plantations, peaceful colonial towns and busy country markets. We visit an experimental cacao plantation. Nearby we stop at a small but self-sufficient farmstead with it's own manioc flour mill and have a great insight into rural life in Brazil. We also visit the Sisterhood of the Boa Morte, a sorority which traces it's origins back to the time of slavery. A journey back in time to the Brazil of yesteryear! We visit a traditional candomblé house of worship, established at the turn of the century, a long way from the then center of the city. The expansion of the city has meant that the temples grounds have been surrounding by the burgeoning metropolis but the temple maintains the traditional religious and social values of African daily life. Our visit will focus on the religious and social traditions of the temple and its role within the community. We later visit the shrine for Yemanja in the Rio Vermelho district, a simple shrine in an annex of a local fishing colony, next door to a Catholic church.